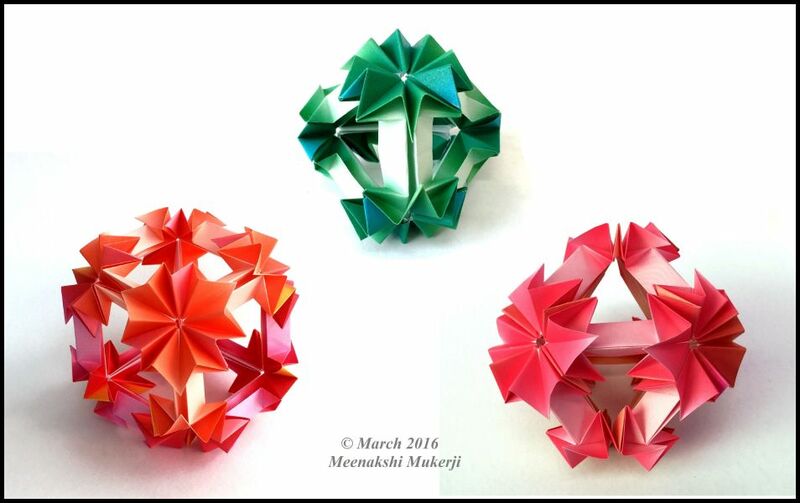 Copyright © 2015-2016 by M. Mukerji - all rights reserved. 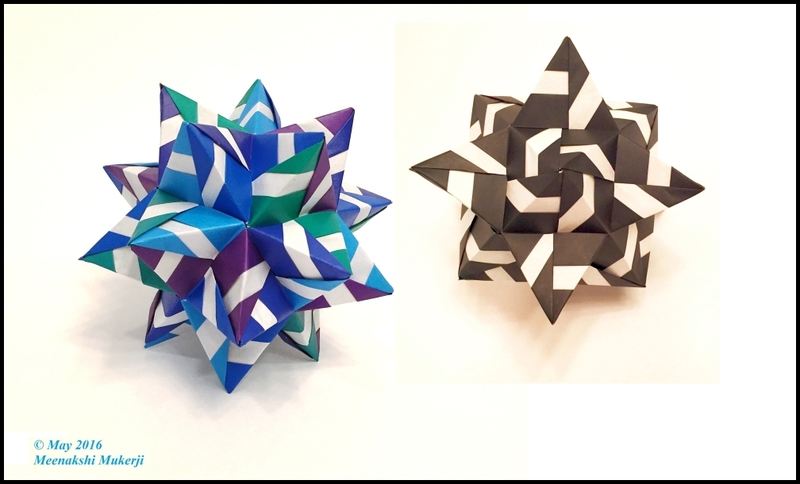 Each from 30 uncut 2:1 rectangles of duo paper. 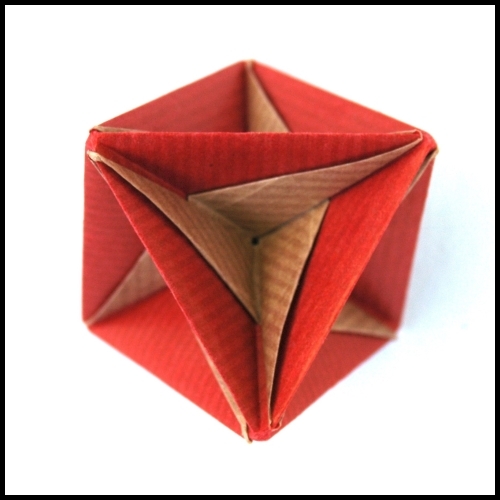 Each from 12 uncut 2:1 rectangles of duo paper. 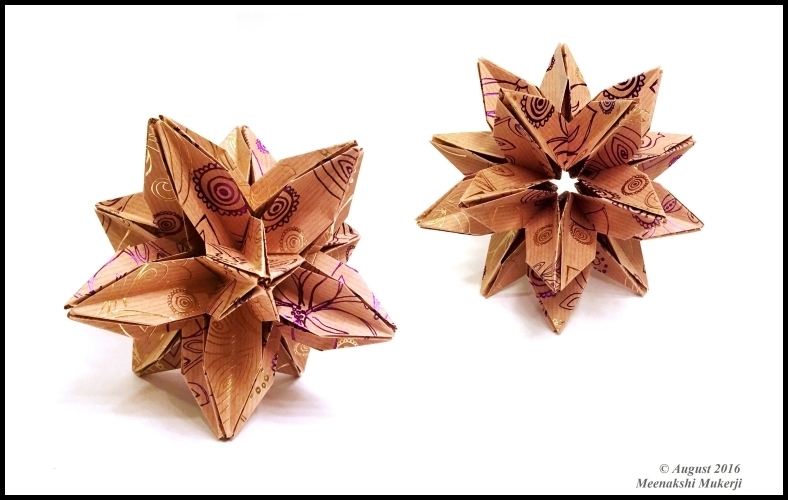 A 30 unit assembly by Charul Patil. 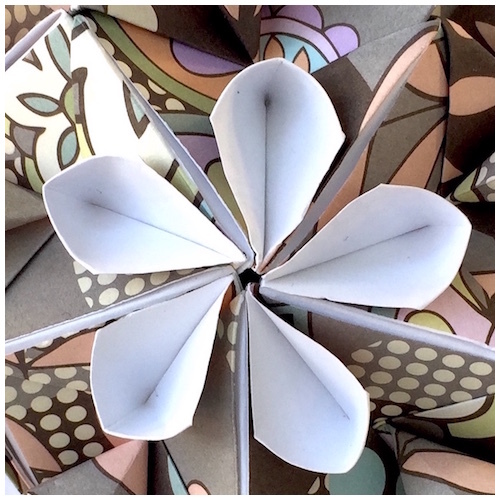 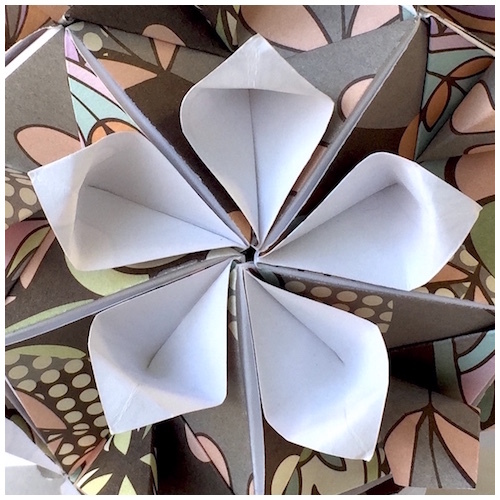 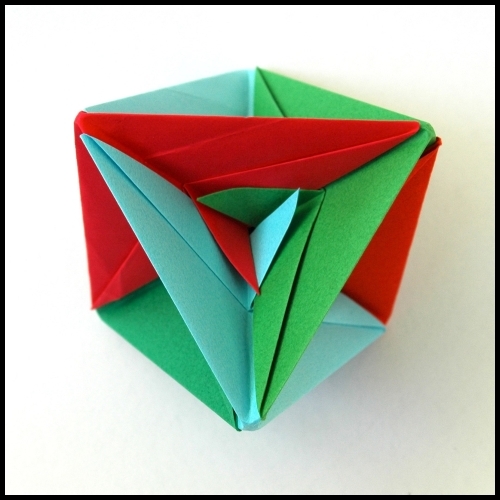 From 30 and 12 uncut 2:1 rectangles of duo paper. 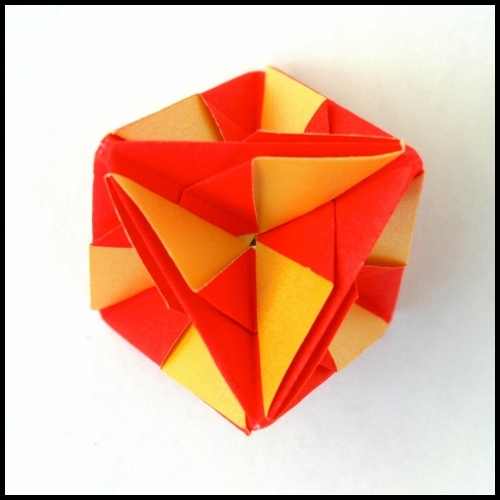 A color change variation of the original Fanfare. 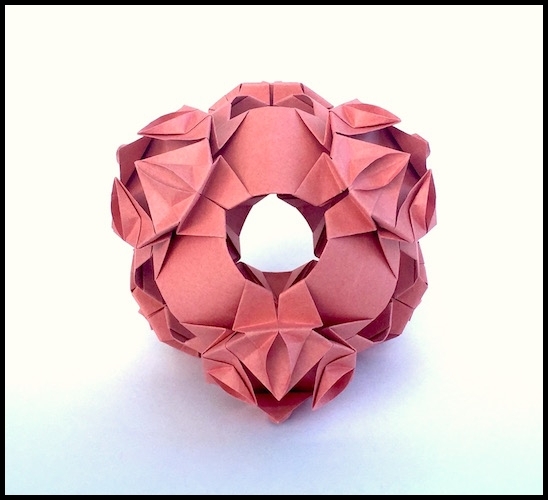 A color change variation of Paolo Bascetta's Hollow Sonobe. 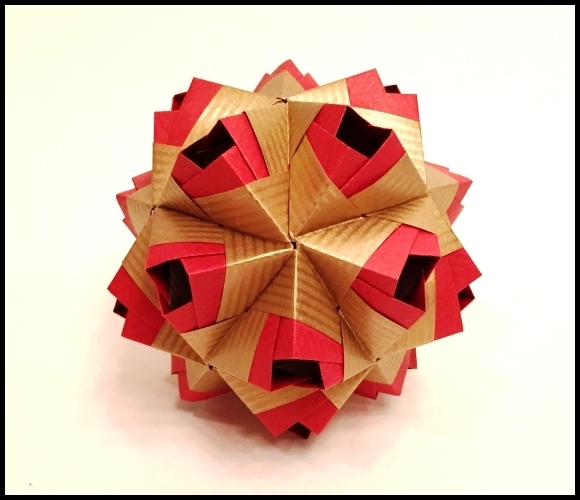 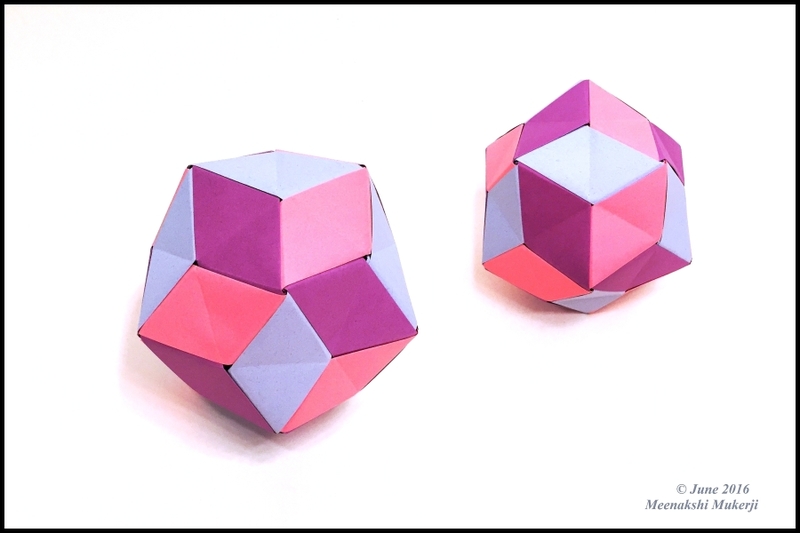 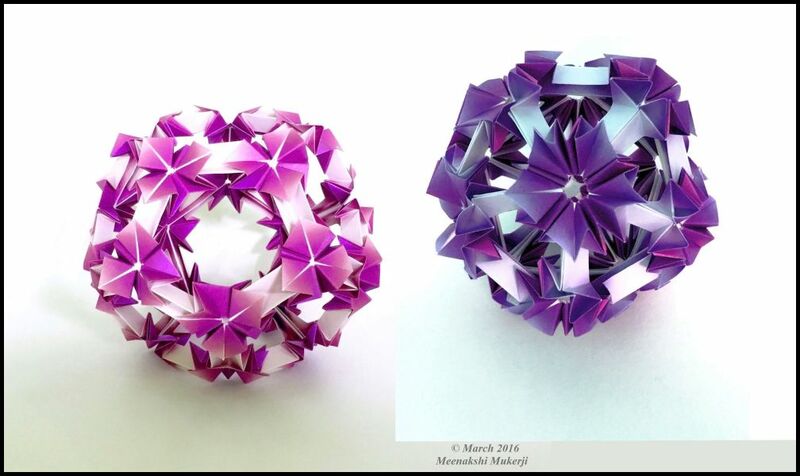 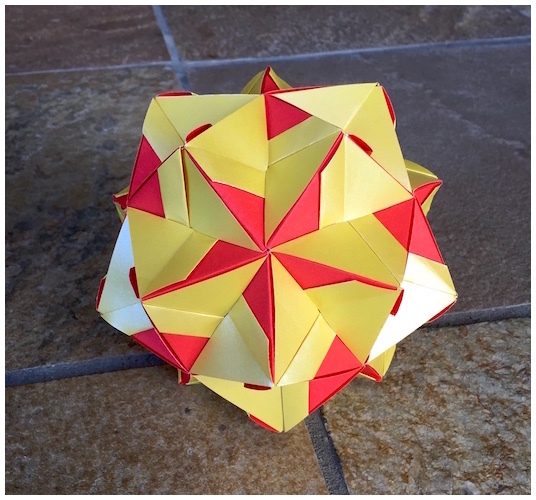 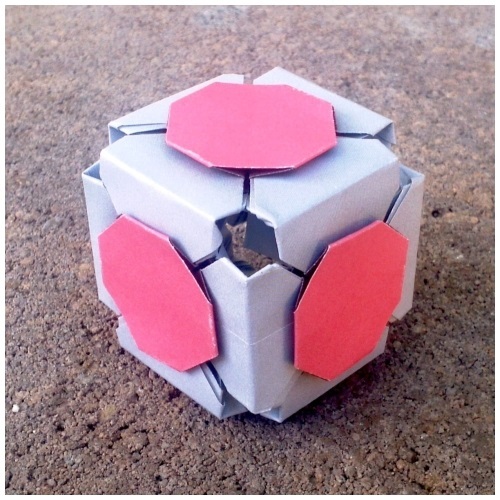 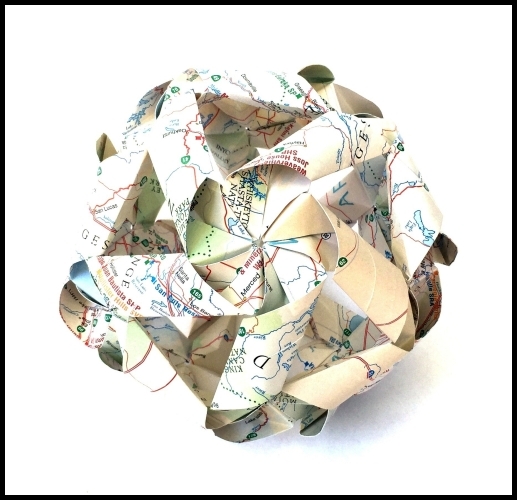 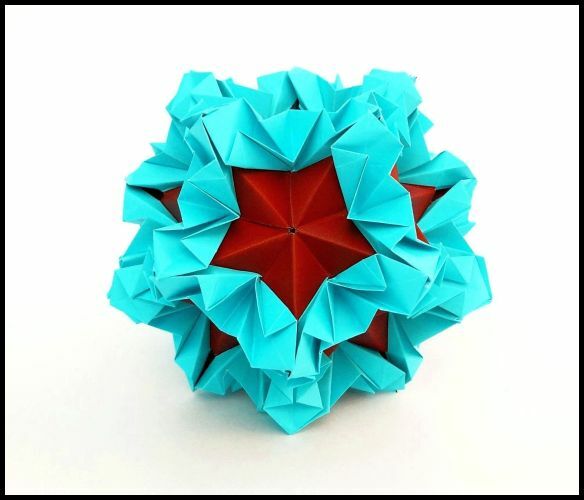 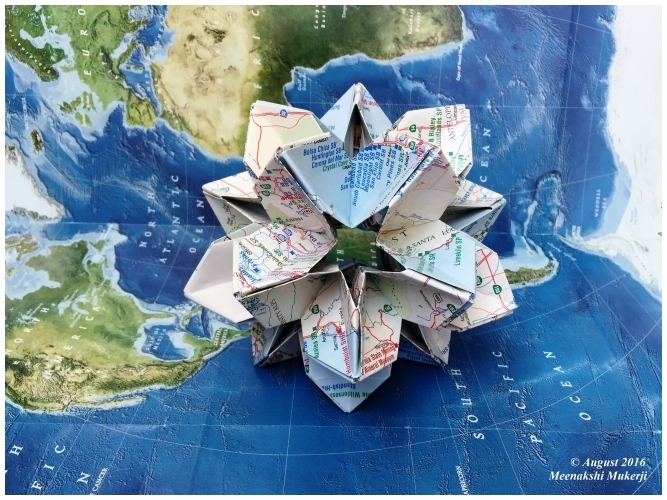 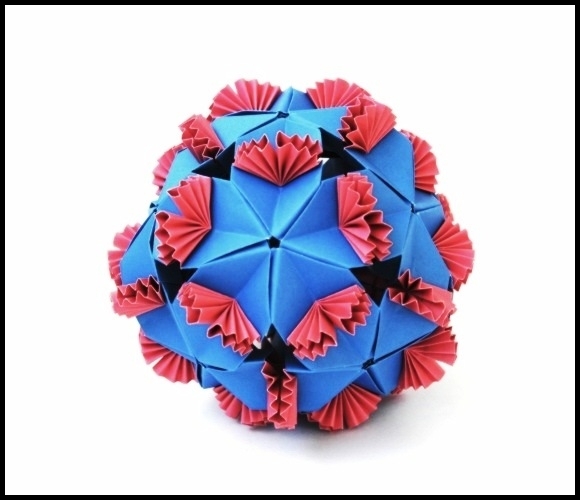 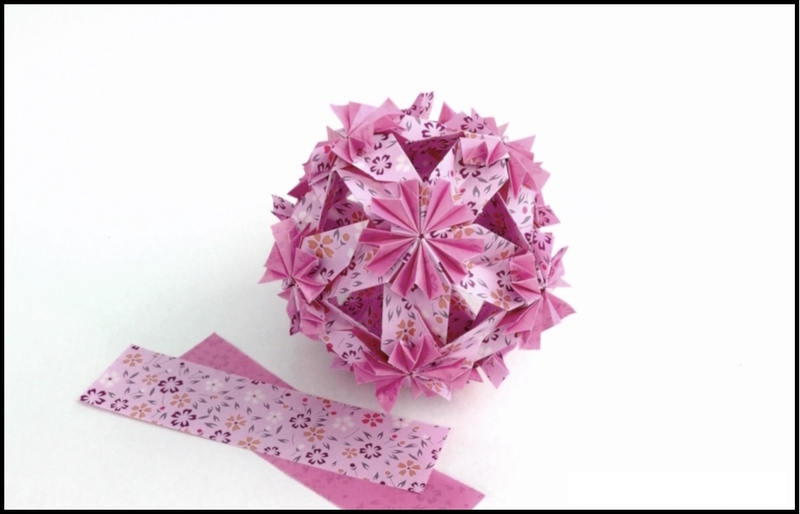 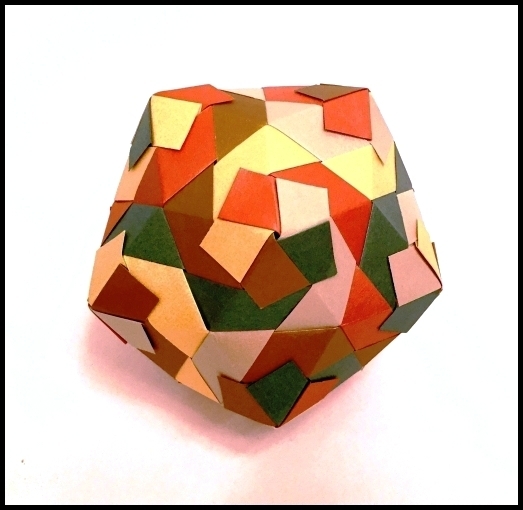 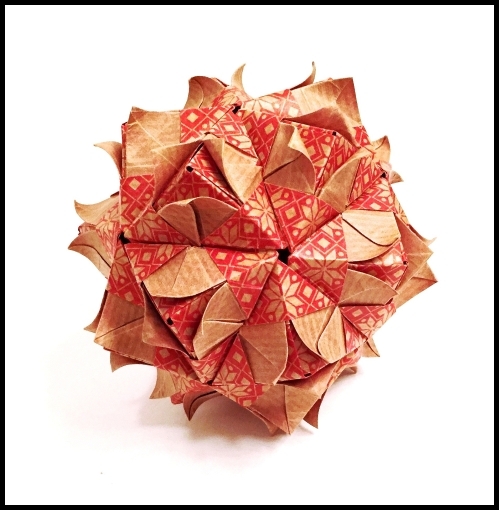 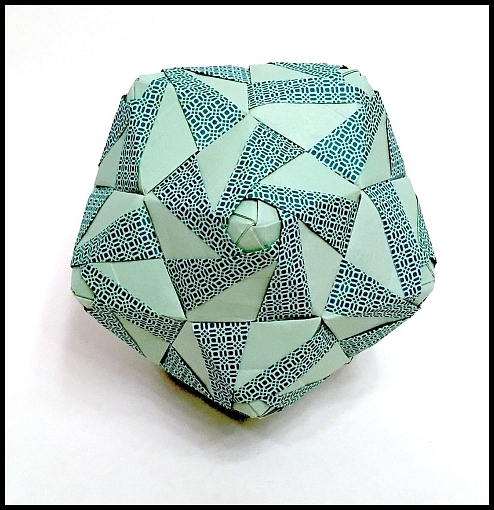 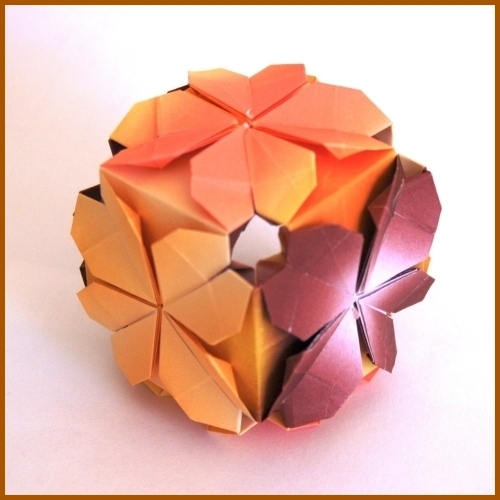 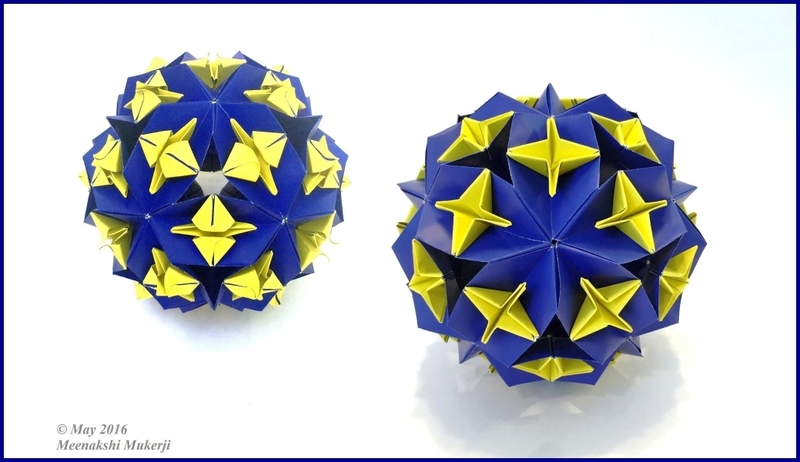 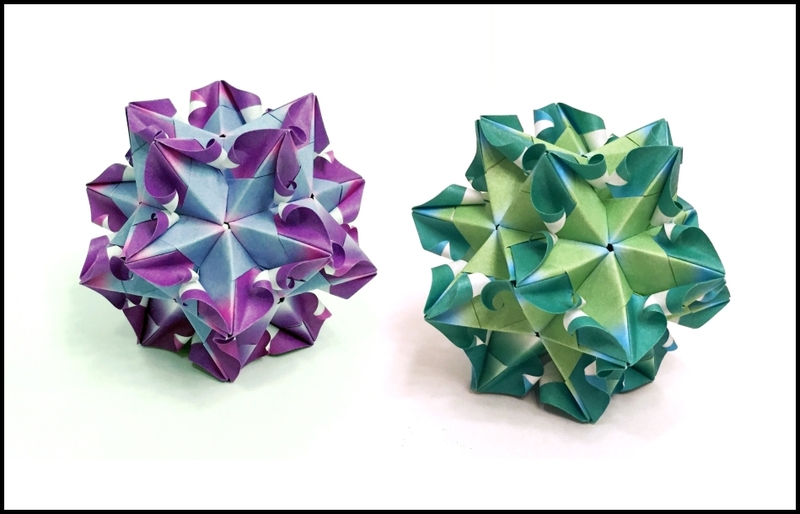 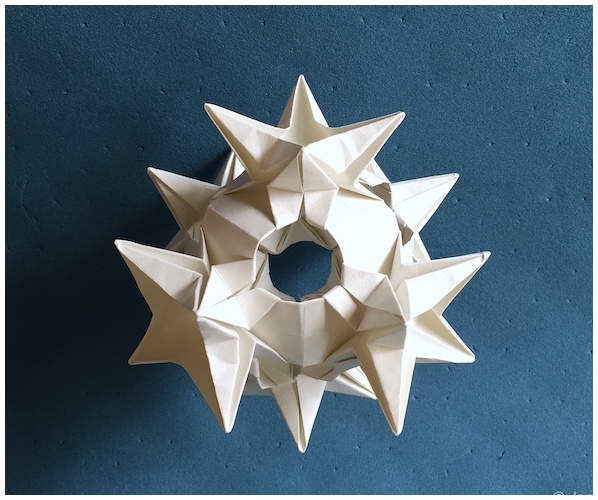 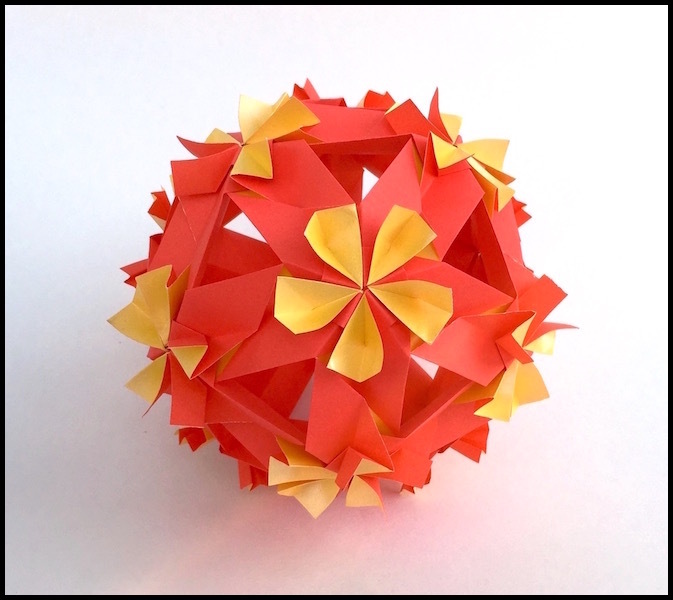 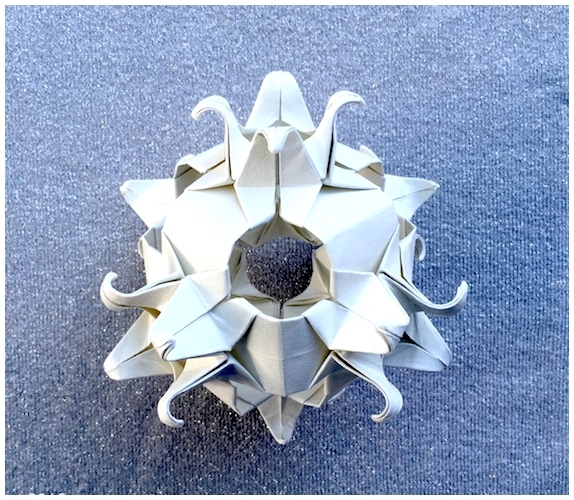 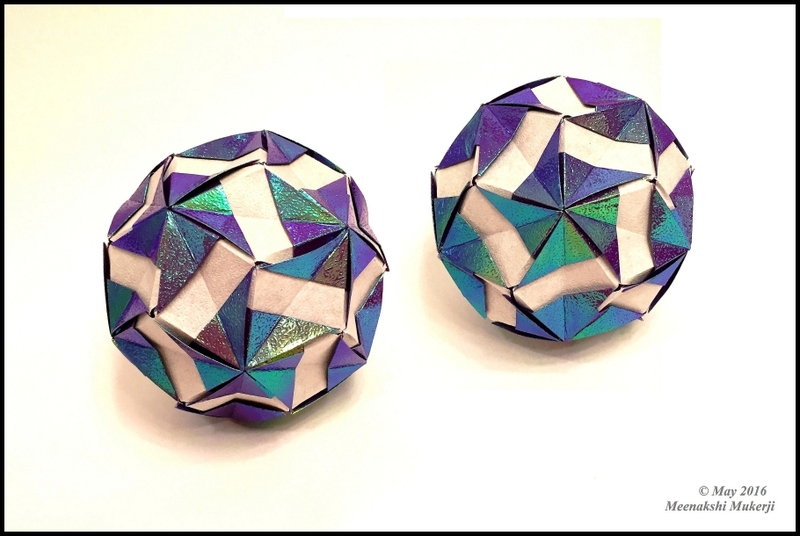 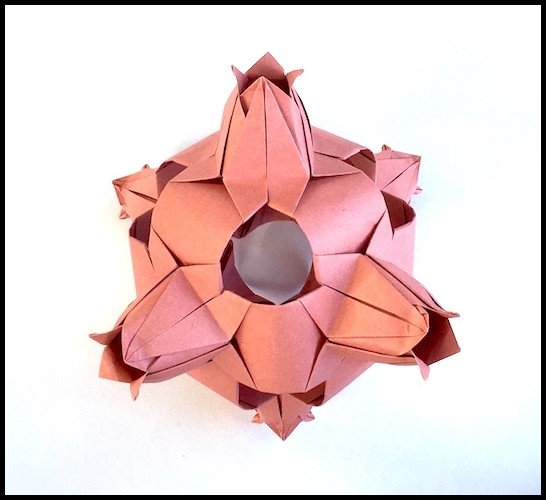 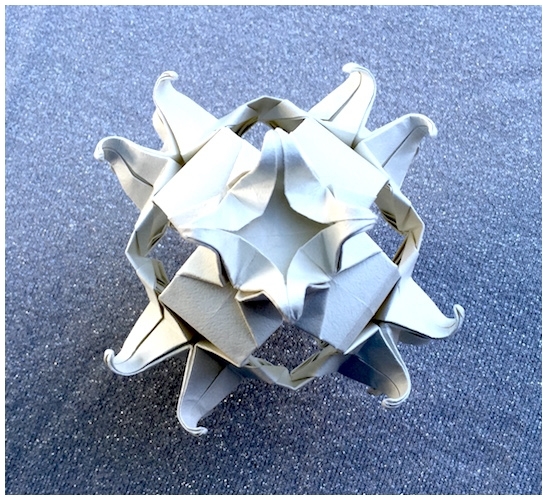 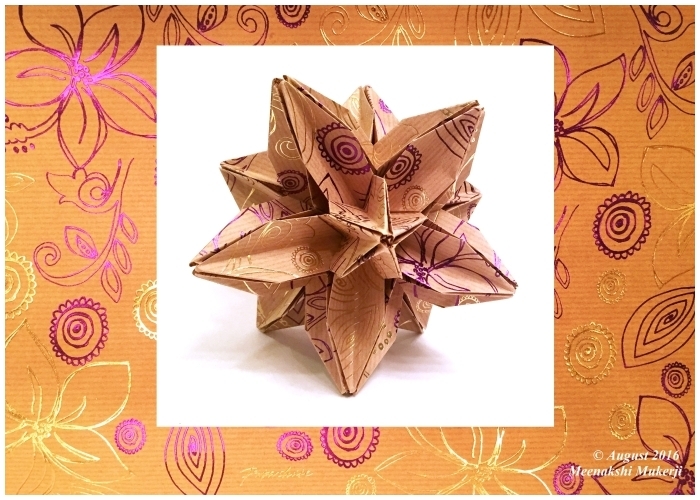 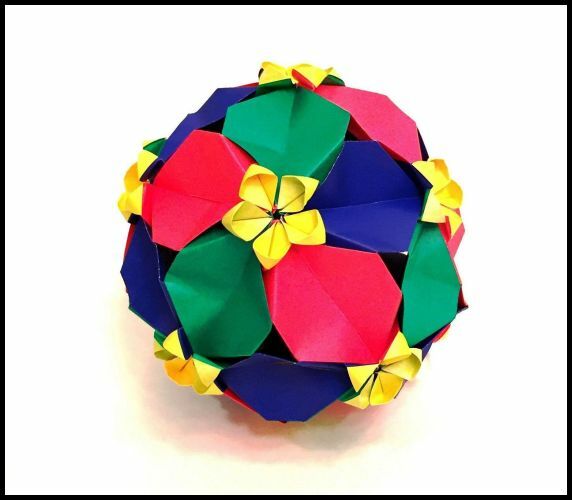 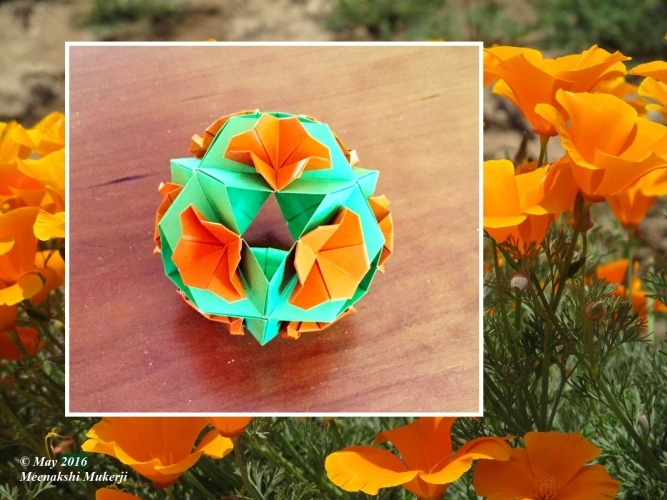 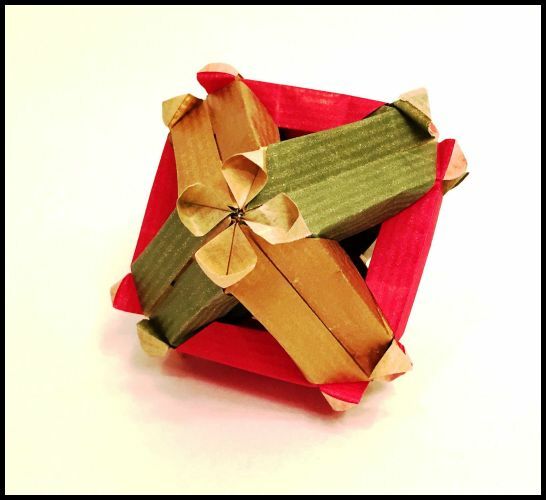 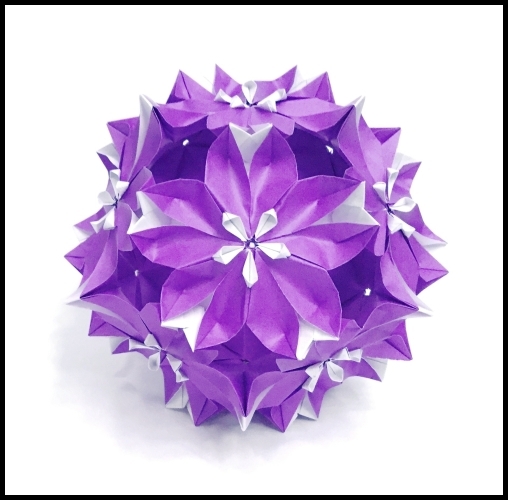 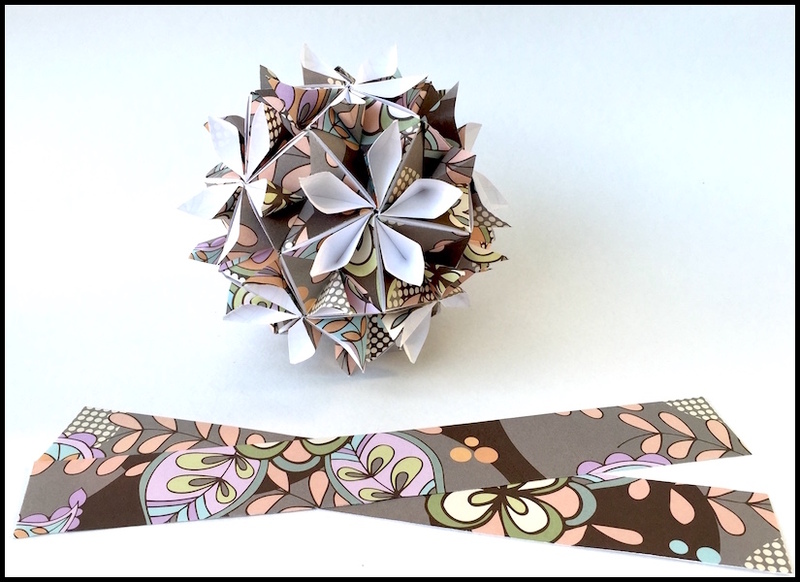 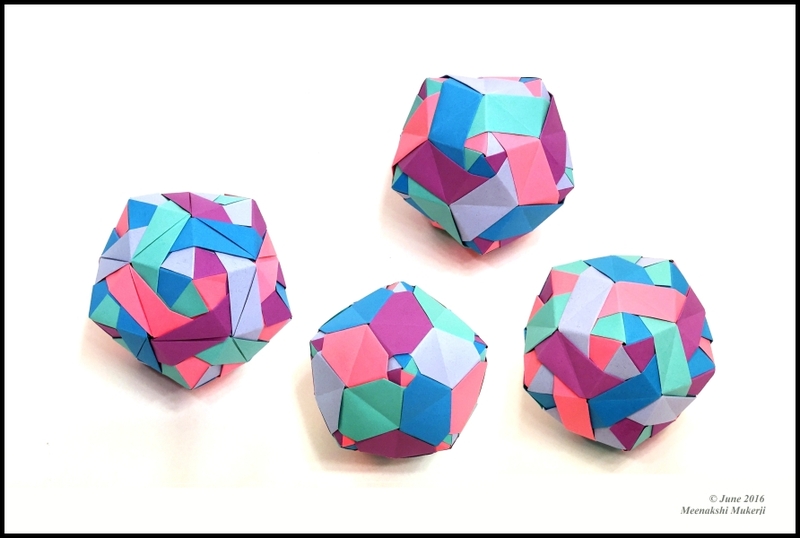 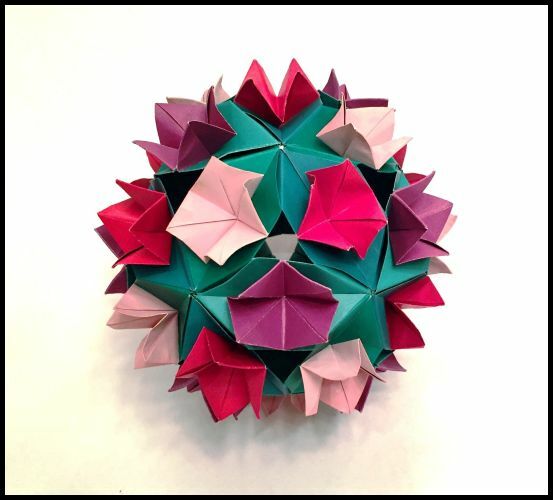 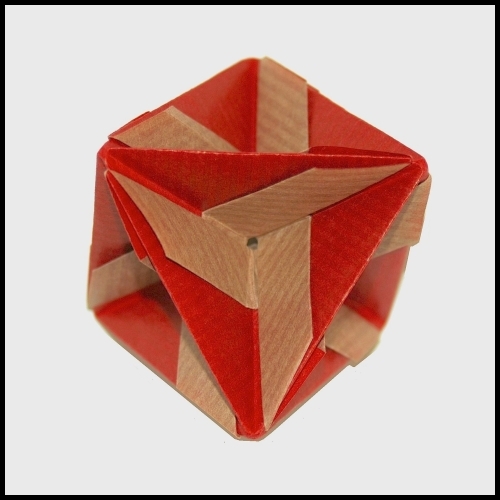 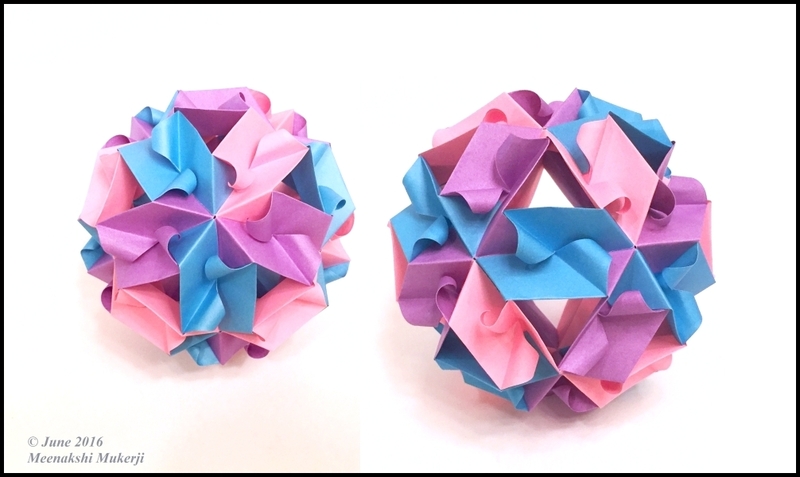 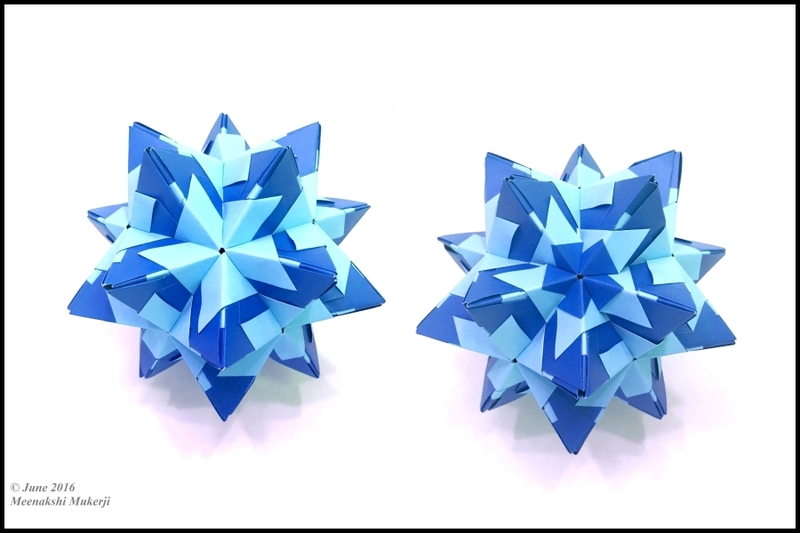 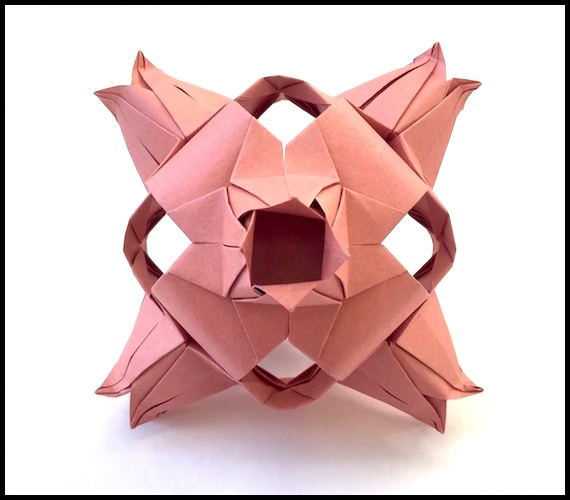 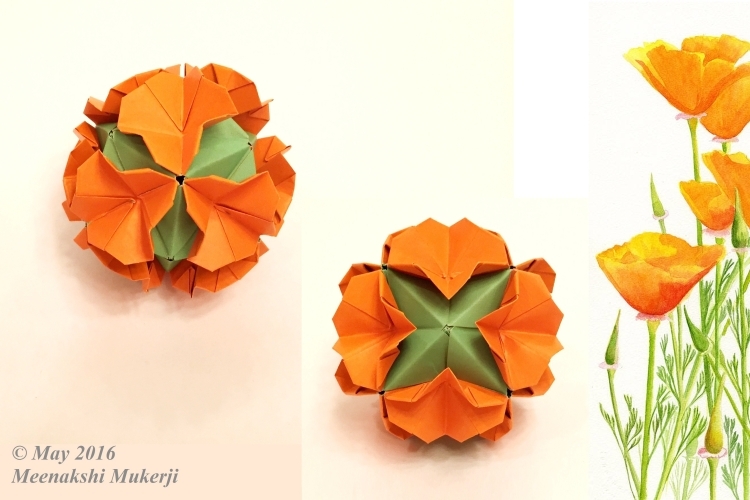 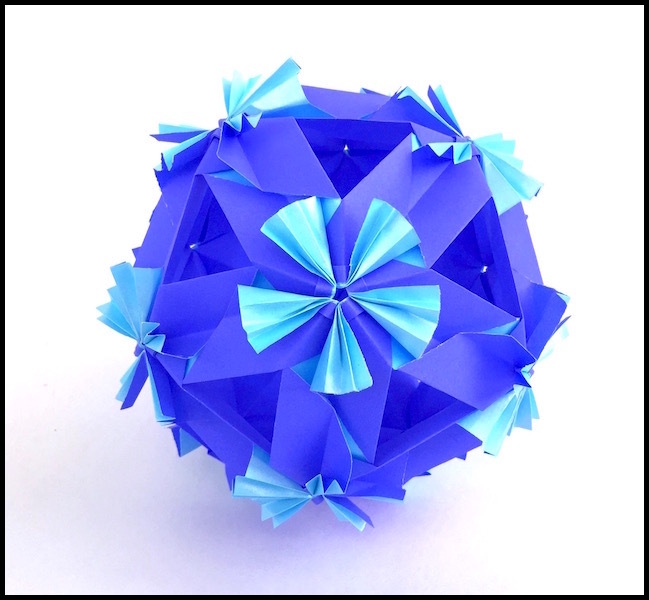 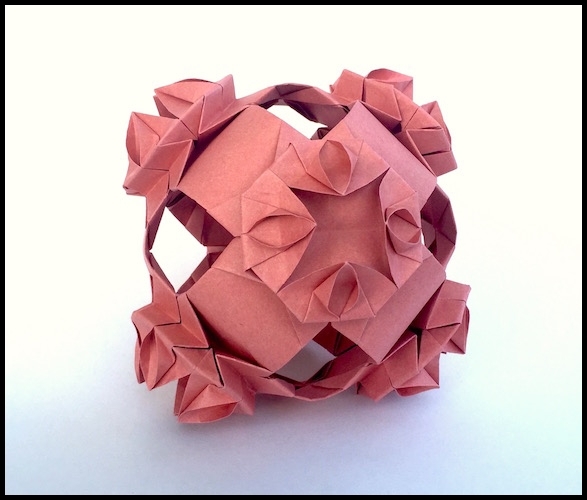 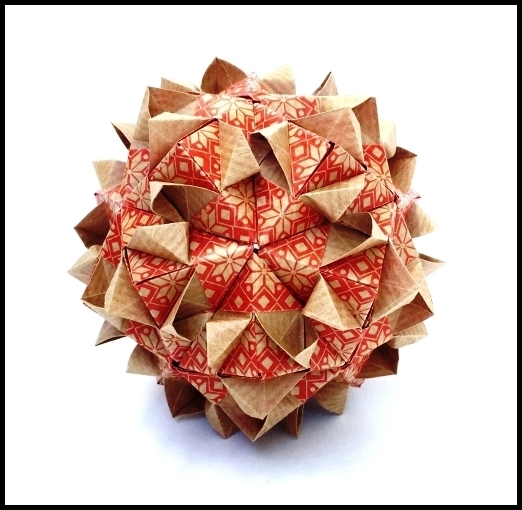 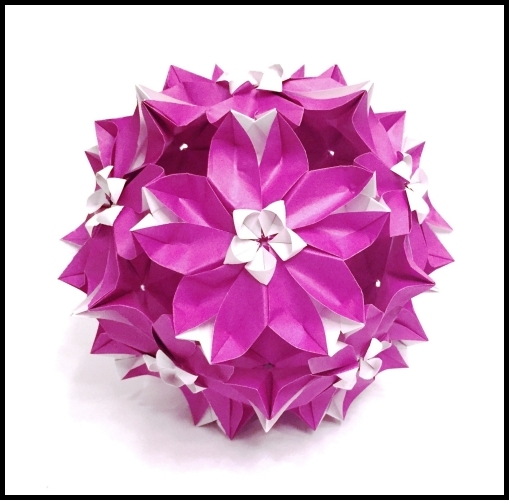 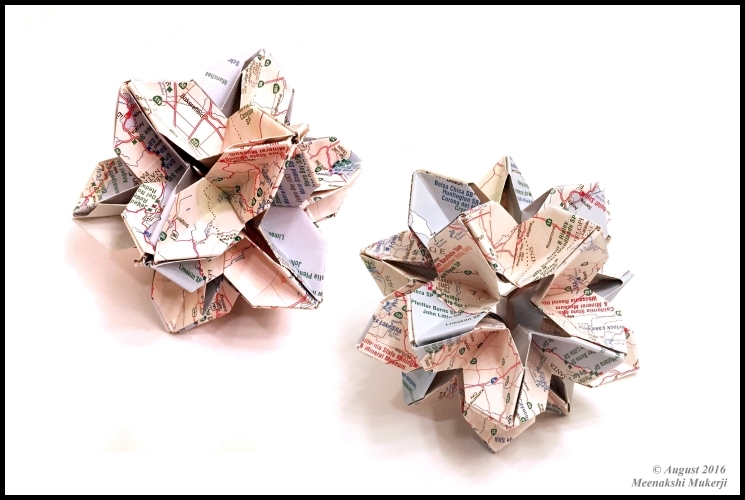 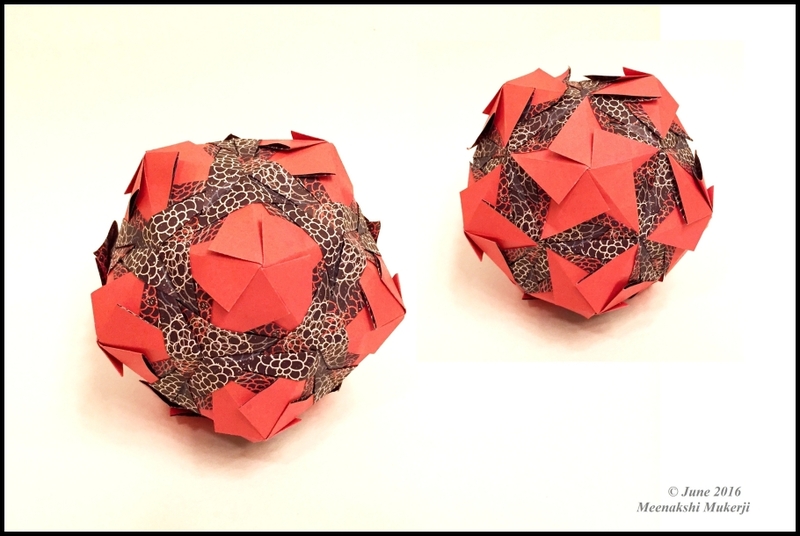 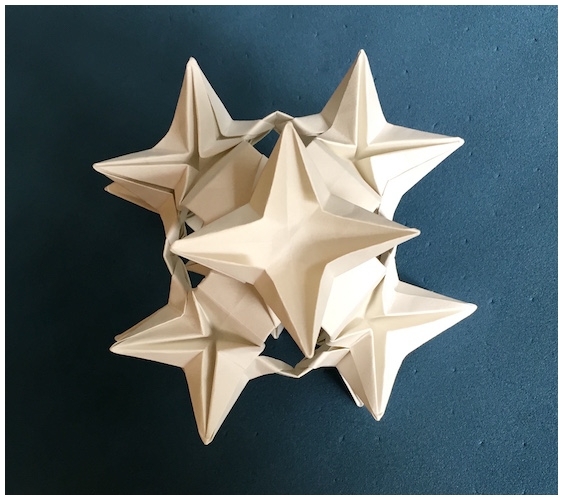 Hexahedron (Meenakshi Mukerji), Cube (Mitsunobu Sonobe), Octahedral Assembly (Ittai Hacohen).